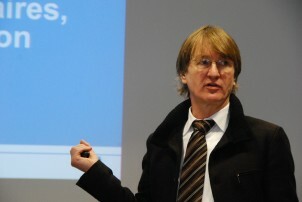 I.Family project co-ordinator Professor Wolfgang Ahrens, from the Leibniz Institute for Prevention, Research and Epidemiology – BIPS, Germany, and the University of Bremen, presented the results of the project’s predecessor project, IDEFICS, to a receptive audience at the SPOTLIGHT meeting in Brussels in November 2015. SPOTLIGHT is an FP7 project with contributors from eight European countries. The event, titled ‘The future of research on obesogenic environments’, hosted presentations by ten other EU research projects, as well as representatives from the European Commission and national and international health agencies. All contributors have experience in researching obesity in young people, and the meeting aimed to highlight the broader context of research across Europe. Professor Ahrens’ presentation outlined the goals of the IDEFICS study and discussed overall results: how dietary patterns, stress, parental influence, screen time and school meals affected the associated risk of obesity. Investigating the interplay of many different factors and how this impacts obesity risk is a key goal of the I.Family study, and the broad scope of research by IDEFICS has provided a strong basis for further investigation. 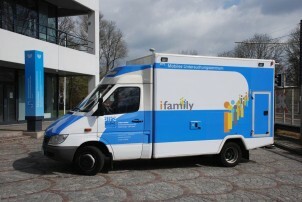 IDEFICS was also coordinated by the Leibniz Institute for Prevention, Research and Epidemiology – BIPS, Germany, and the University of Bremen, under Professor Ahrens.